Children with cerebral palsy frequently undergo invasive surgeries — lengthening tendons, rotating bones, transferring muscles to new locations — in hopes of improving their physical ability to walk or move. While the surgeries work beautifully for some patients, other children see little to no improvement after those operations. 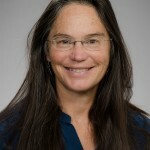 Researchers from the University of Washington’s Department of Mechanical Engineering, in collaboration with partners from Gillette Children’s Specialty Healthcare, have developed a new quantitative assessment of motor control in children with cerebral palsy called Walk-DMC, which could help predict which patients are — or are not — likely to benefit from such aggressive treatment. The new measure is based on electromyography (EMG) data, a tool already commonly used to evaluate patients with cerebral palsy that uses electrodes placed on the skin to monitor muscle activity. Historically, doctors have relied on experience and more subjective clinical measures to evaluate a patient’s motor control. In one of the largest studies of treatment outcomes in cerebral palsy to date, the team found that a patient’s Walk-DMC score before treatment was significantly linked with how much the patient’s gait, walking speed and function improved after surgery. The study was published online Apr. 21 in Developmental Medicine & Child Neurology. 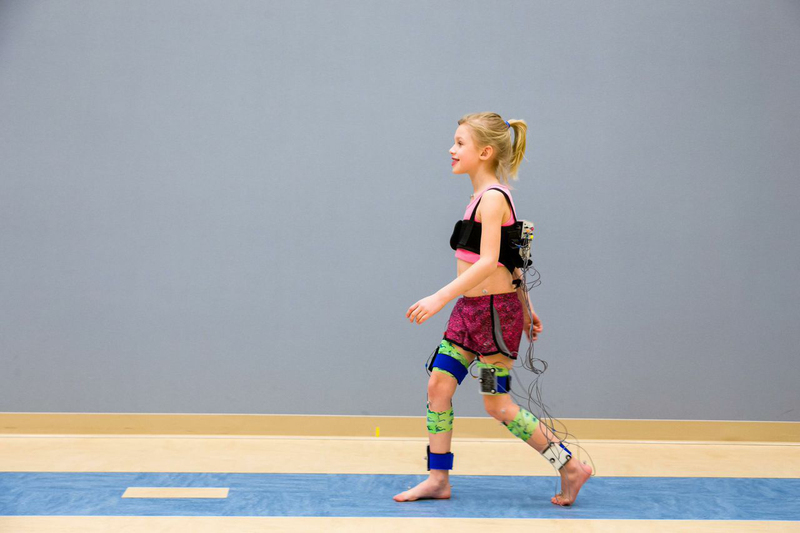 “Only about 50 percent of children have significant improvement in their movement after these highly invasive surgeries,” said Kat Steele, a UW assistant professor of mechanical engineering. 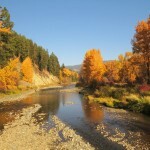 “Our motivation has really been to figure out how we can push up these success rates. The team recently won a $1.5 million grant from the National Institute of Neurological Disorders and Stroke to further evaluate Walk-DMC’s potential in clinical settings. Cerebral palsy is caused by an injury to the brain that happens near birth, and affects about three in 1,000 children. But as every brain injury is unique, individuals with cerebral exhibit a wide collection of symptoms and conditions and respond to treatment differently. Doctors had theorized that patients with better motor control — the brain-to-muscle connections that allow someone to coordinate movement— prior to surgery were likely to fare better after surgical interventions. Common surgeries for individuals with cerebral palsy typically fix musculoskeletal or anatomical issues that limit physical movement but don’t necessarily address how well a patient can control those muscles. So far, however, there has been no standardized way to quantify motor control in cerebral palsy. In a previous study, Steele and her colleagues demonstrated how to analyze muscle synergies — or patterns of coordinated muscle activity — in individuals with cerebral palsy from data already commonly collected in the clinic. They found that children with CP employ motor control strategies that are similar to adult stroke survivors, and are considerably simpler than the strategies employed by unimpaired individuals. In both CP and stroke, this impaired motor control is thought to contribute to impaired movement and function during daily life. The team then developed algorithms to translate the complexity of a patient’s motor control strategies into a single number, which represents the patient’s Dynamic Motor Control Index During Walking, or Walk-DMC. 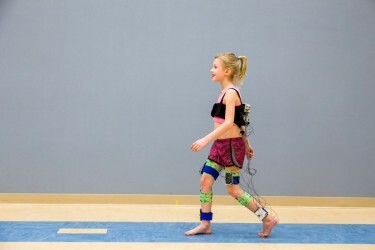 Two cerebral palsy patients may have exactly the same score on the Gait Deviation Index, a commonly used assessment that measures joint angles to evaluate how “normally” a patient walks. But the researchers found those two patients may actually have widely different Walk-DMC scores, which measures their underlying muscle coordination and motor control. In the current study of 473 children with cerebral palsy who had undergone surgical treatment, the researchers found that children with higher walk-DMC scores prior to surgery had better treatment outcomes – even after controlling for other factors like age and prior treatment. The team’s next steps include analyzing whether motor control can change after treatment, and working to expand options for children who are less likely to be good surgical candidates. The ongoing research is funded by the National Institute of Neurological Disorders and Stroke within the National Institutes of Health. Co-authors include Michael Schwartz, director of biomedical engineering research at Gillette Children’s Specialty Healthcare, and Adam Rozumalski, an engineer at Gillette Children’s Specialty Healthcare in St. Paul, Minn.
For more information, contact Steele at kmsteele@uw.edu.